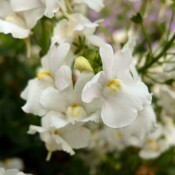 Here is a season-long flowering beauty with snapdragon-like flowers that have yellow centres. 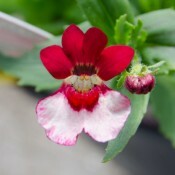 Tried & True Nemesias are heat-tolerant and have compact, semi-trailing growth. 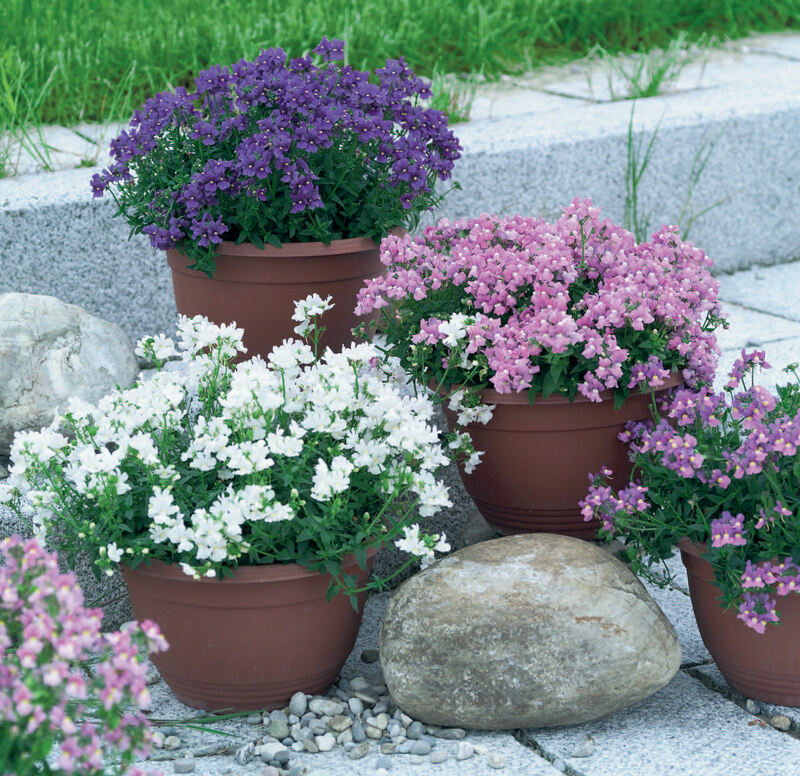 They make a bright and colourful addition to mixed baskets and containers. 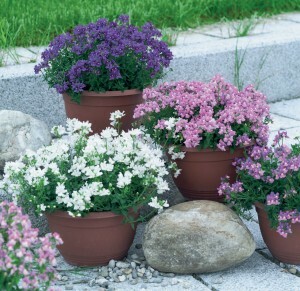 Their sweet, candy-like scent is an aromatic addition to the garden or patio. Add bold, early season colour with Delight. 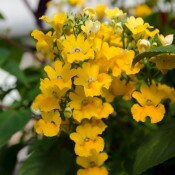 Sporting petite single flowers in a bright yellow colour, Delight blooms are fade resistant and will adorn this delightful bedding plant throughout the summer months. This sun-loving, semi-trailing plant is fantastic as an accent plant in mixed patio pots, hanging baskets, and window boxes. 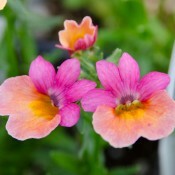 Masses of sweetly scented, miniature snapdragon-like blooms adorn this delightful bedding plant. The flowers are white with yellow throats. 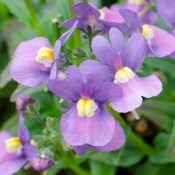 Nemesia Innocence is a sun lover and can be used as an accent plant in mixed patio pots, hanging baskets and window boxes. Add bold, early season colour with Prestige. Sporting large single flowers that are unusually bi-coloured in orange and rose, Prestige blooms are fade resistant and will adorn this delightful bedding plant throughout the summer months. This sun-loving, semi-trailing plant is fantastic as an accent plant in mixed patio pots, hanging baskets, and window boxes.